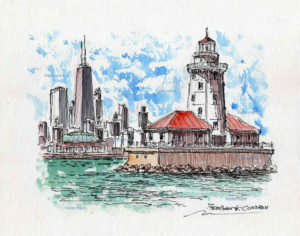 Lighthouse watercolors #145Y and prints • Condren Galleries Ltd.
Lighthouse watercolors #145Y are landmark paintings with JPEG & PDF scans and prints by artist Stephen F. Condren, BFA-SAIC, at Condren Galleries, a Fine Arts Gallery, which gives you low cost discount prices on all artwork, and is on sale now. 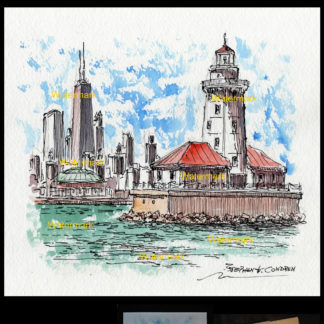 Because lighthouse watercolors are great, their prints are great! 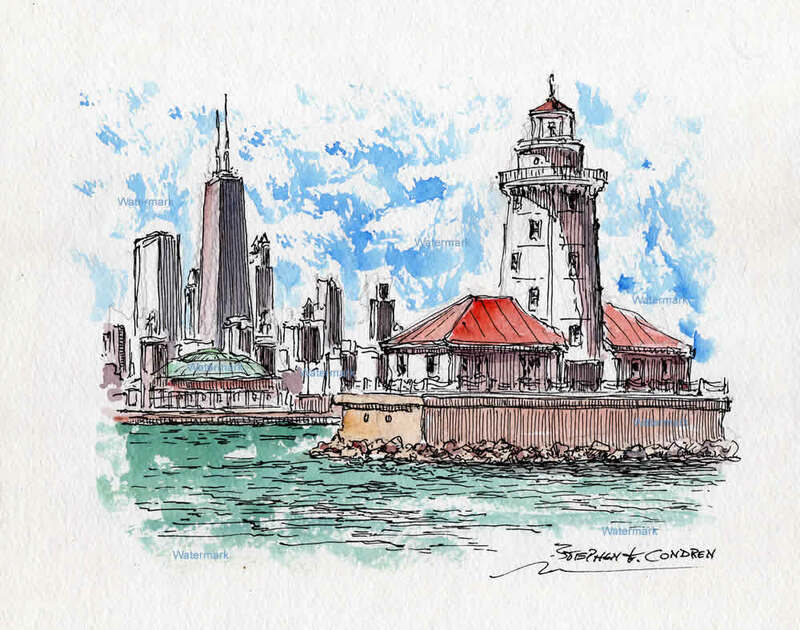 Watercolor painting of the Chicago Harbor Lighthouse with pen & ink by artist Stephen F. Condren for product ~ SKU# 1089 and file 1000.